Although news of Rob Gomez may be considered “old news”, one never tires of heart rendering stories with good deeds as its main theme. In case you have given up media in all forms this past week and need a recap, the brief background story goes like this: Gomez of Windham ran the Beach to Beacon 10k road race on Saturday, August 5; so did Jesse Orach of Gorham. Orach was in the final 50 meters when he collapsed for a second time due to a heatstroke. Gomez, who was directly behind Orach, picked up Orach by his shirt and helped him across the finish line and thus forfeiting his own first-place win and a chance at $500. So I got to catch up with Gomez the other day and we had a nice e-mail conversation. Although, we rarely publish “interview style” articles, we thought this was an exception to the rule. Editor: For most running competitors, the goal is to set a new personal record and to cross the finish line first. Why did you choose to act differently? because the guy ahead of me, well ahead of me, fell just before the finish. It wouldn't have been a good feeling for me personally . . . almost like I finished first by default. So I made the split second decision to get Jesse what I felt he deserved. I know everyone doesn't agree that Jesse deserved to win, but I guess the only sentiment that mattered at the time was mine, Jesse's and the finish line referees - and Jesse couldn't speak at the time! Editor: Is there someone in your life who taught you to give and to be selfless? Gomez: I'm so glad you asked this because she deserves to be recognized. Any act of selflessness I exhibit comes directly from my mother. I'm biased of course, but I feel she is literally the most selfless person in the world. Anyone who knows her even a little would tend to agree with me. The only time I've choked up talking about this, has been when I first saw my mom after speaking to the media past the finish line. The expression on her face nearly made me burst into tears! Editor: You have a lot of admirers out there now (including those from other countries). But what is important are the children who hear about your story. What advice would you like to give those children so that they are motivated to choose kindness and respect for others? 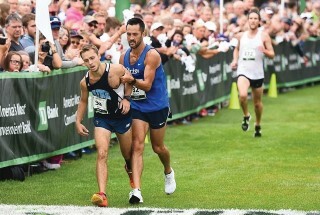 Gomez: Honestly, I think I did what I did at the time because I knew I personally would feel better about myself if I didn't pass Jesse while he was struggling to get to his feet so close to the finish. Being respectful, kind and charitable makes me feel good, and I suspect it makes others feel good too. I gave up $500 in prize money and a first place position by my decision, but I knew that money and that first place trophy couldn't replace the feeling I get by helping someone else and doing the right thing. No amount of money or accolades is worth doing the wrong thing. It will nag at you, haunt you and make you feel uneasy about yourself. Doing the right thing is the better choice, every time; and being kind and respectful is always the right thing to do. Editor: When did you know that running was “in your blood” and that you would like to pursue long distance competitions? Gomez: I ran competitively in high school and college and took some time off after college and put on a bunch of weight. After three years away from running and 55 additional pounds, I knew I was missing it. That time off helped me appreciate what running does for me . . . it provides me with mental clarity on a daily basis, gives me a healthy lifestyle, and most importantly, surrounds me with a community of friendly, healthy, and motivated individuals. I missed all of that when I took time off, and taking that time off made me realize I will never be away from it for that long again. Editor: Did (or do you) face any challenges in reaching your running goals? If so, how do you overcome them? Gomez: Time. Time is the enemy of anyone who tries to run competitively and live a normal life with a job, a family, a house, and all the other priorities that come along with normal life. I believe most people who don't run but want to, just can't do it because they simply don't have the time to run and train consistently. I've overcome it by making running a lifestyle, deliberately carving out time each day for it, and streamlining my life so that I can manage everything and still have time to run. I prioritize running right up there next to the other important things in life, and because of that I'm able to get in the running time I need to. 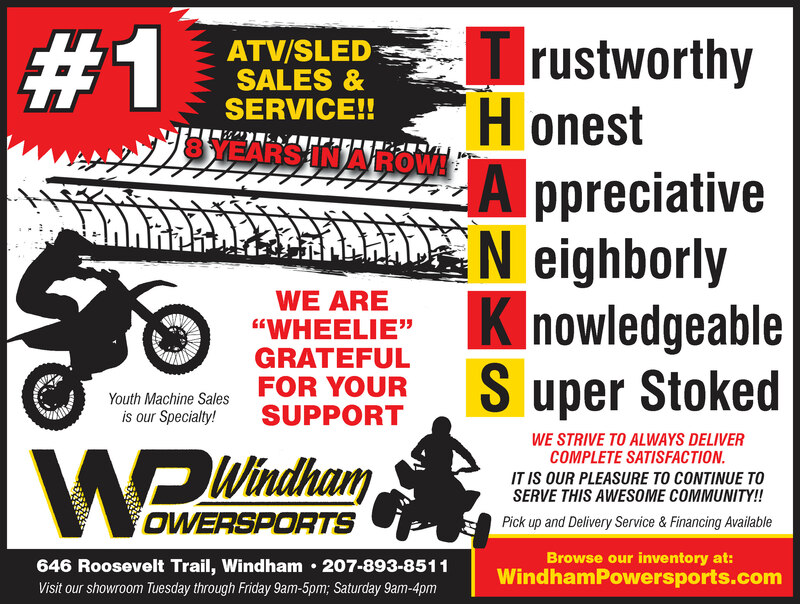 Editor: And, last – Windham is proud that you are among one of the members in the community. Have you always made Windham your home? If not, where are you from originally? Gomez: I am originally from Waldoboro and have spent time living in Limestone, Lewiston, Orono, Biddeford, Saco and Portland, prior to buying a house in Windham in late 2015. I’m looking forward to having my family be a part of the Windham community for many years to come! We really enjoy it here. 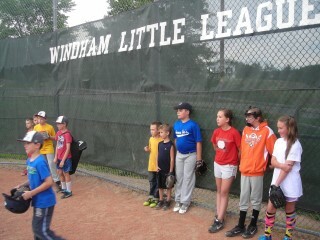 Windham’s Little League season is long over. Baseball is not. League play ended on June 17 with the championship and all-star games. But then, wait! Beat the drum and hold the phone - players on both the winning and losing teams wanted to play on. Liam Kalakowsky’s mom, Erin, remembers a conversation with her son the day after the big games. So, Erin started texting other moms. Likewise, their sons and daughters still wanted to play. What about pick-up games? Can we do that? Enter Mike Butterfield, a member of the Board of Windham Little League. Continued League play was not in the cards, but Butterfield was determined to put youth baseball into overtime. The moms’ text chain had attracted 10 or more interested parents. “My son was bummed when the season ended, so (pick-up play) was a great idea, it keeps the interest up,” said Butterfield. Butterfield contacted school officials about the use of fields at Manchester School. He also started a Facebook page. After conferring with other parents, a game plan began to form; a plan distinctive for its lack of formality: no practices or drills, just games, no umpires, communal coaching, random teams, adult pitching, outs from the field only and play open to all boys and girls, ages six to twelve. Sandlot baseball had its official debut on July 5. During play, suggestions for improvement come from both adults and the kids themselves. Calls on plays are usually made by the adult standing closest to the play. Disagreements are rare, and conflicts nonexistent. Two young players from the coach-pitch division of Little League were particularly energetic and spunky during one recent game. They swung hard, ran fast and made frequent loud calls of encouragement to older players, obviously seeking their attention. The adult pitchers moved off the mound to offer more generous pitches to the young hitters. Both got hits, and cheers. 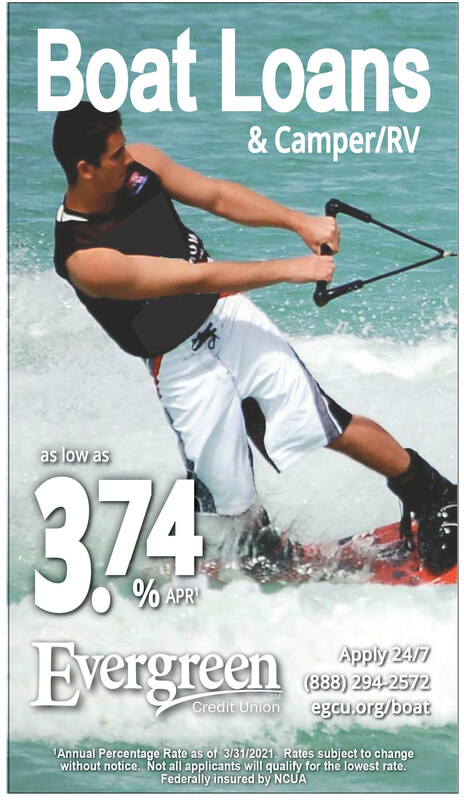 “The little guys are obviously giving 110 percent,” observed parent coach Chris McDonald. The games, dubbed the sandlot league, have grown in popularity over their four weeks. 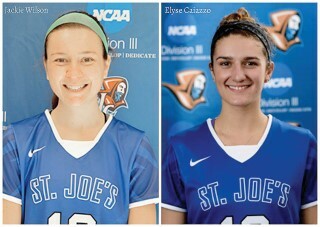 Twelve players showed up the first week in early July. By August, the numbers grew to 22, with parents and grandparents in tow. “We welcome all kids who just want to play, not just Little Leaguers,” says Butterfield. One recent week saw one participant from Gray and three sets of brothers/sisters. “We’re here for the love of the game,” commented Cory Butterfield, whose son, Mason, vows to play until the end of October. 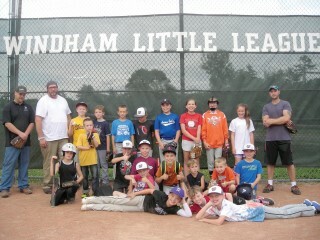 Sandlot moved to Lowell/Ciccerone field in East Windham. Master caretaker Bill Ciccerone keeps new grass on the field and prepares the grounds each Wednesday in time for the 6 p.m. start of play. After the start of school later this month, the games will be played on Sunday afternoons. Parent Abby Vopal, whose daughter Sophia recently played minors division softball said, “These kids are chomping at the bit to get on the field; they’re having a blast.” She explained how Sophia was taken aback by her brother’s opportunity to participate in sandlot. Her enthusiasm to join opened the way for girls to play. As expressed in John Fogerty’s popular youth baseball anthem “Centerfield” - if you’ve got a beat-up glove and you’re ready to play, go see the coach, mighty Mike Butterfield. He’ll put you in.